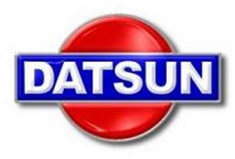 Welcome to 311s.org Datsun Sports Roadster Technical Wiki! Our hope is this will become a very good place to share technical expertise on our fine little cars. Do not be bashful as even new comers can provide invaluable insight to problems. This will be a work in progress so check back and add your three cents any time. I have had a couple of volunteers to help bring this Wiki up to a useful standard. Contributors so far are Tom(notoptoy), Curtis, Jim(SlowBoy) and various forum members through submissions. Are you willing to add your input to what has become a valuable resource? Email me at 67datroad@311s.org and get started today. Also, if you find any errors please let me know so I can get them fixed. I will take care of them right away.